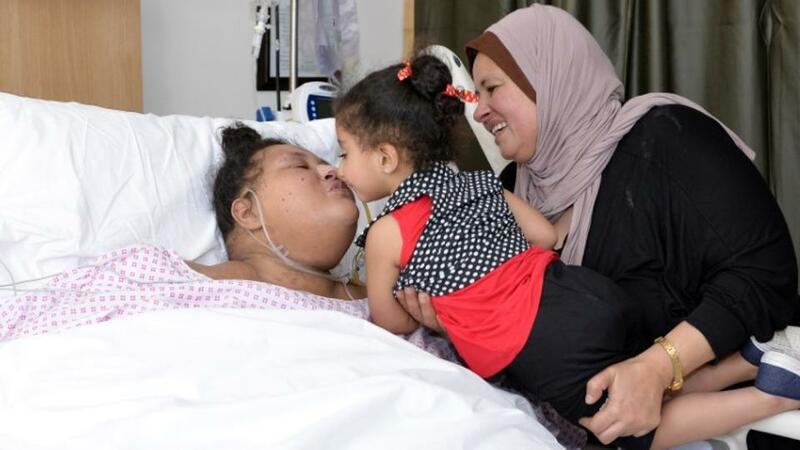 Despite suffering serious injuries in life-threatening attacks, Yemenis recuperating at a Delhi hospital want to go back at the earliest to assist Yemeni army fighting Al Houthi militia. The mental trauma of the attacks and deadly wound infections have not shaken their fighting spirit, which otherwise helped their speedy recovery, according to doctors at VPS Rockland hospital that treats Yemenis as part of an Emirates Red Crescent (ERC) initiative. Gulf News visited these patients who were flown to New Delhi for treatment. Abdu Ali Omer, 42, lost all five toes of his right leg in a landmine blast five months ago, which destroyed a vehicle he was travelling in with his friends in Lahej in Aden. The horrific noise of the blast caused by Al Houthis, the terrified cries of other victims and their blooded bodies are still vivid in his mind. Recuperation from that trauma and the lethal infection in his leg has further reinvigorated his patriotism. â€œI would like to go back at the earliest to assist Yemeni army. I canâ€™t sit idle at home in this situation,â€ Omer told Gulf News from his hospital bed, with the assistance of a translator. Salah Talal Abdullah, 17, received burns all over his body in a rocket attack and resultant explosion that killed eight people. His friend also survived the attack that targeted 10 people. Doctors said Abdullah was crying with pain when he reached the Delhi hospital. His severe wound infections would have led to septicaemia, blood poisoning caused by infection reaching the blood stream, they said. 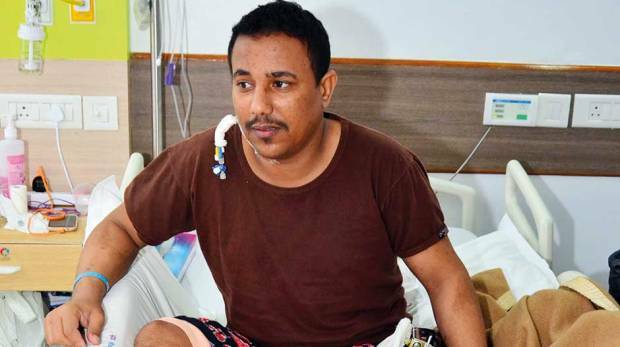 Hani Jamal Mohammad, 32, was caught in an indiscriminate machine-gun firing by Al Houthis in Aden, which caused fractures in his right thigh and severe injuries in the left leg six months ago. Machine-gun-wielding Al Houthis attacked a school at 5.30am, which lasted until 4pm and victims including Mohammad received first aid only after several hours. He, too, had life-threatening infection in his leg when reached Delhi, but now he is recuperating. â€œI want to go back â€¦ not for my family but for my nation. I want to do my best to help Yemeni army,â€ Mohammad said. 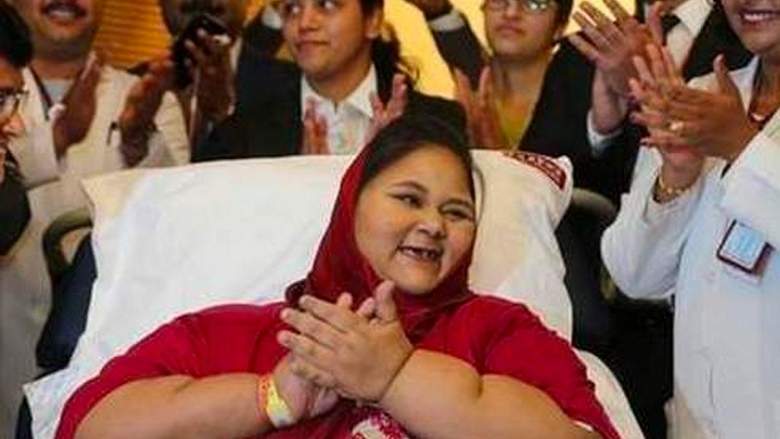 This determination to get better helped their speedy recovery,â€ said Dr Shamsheer Vayalil, chairman and managing director of Abu Dhabi-headquartered VPS Healthcare that runs three hospitals in Delhi. â€œBeing victims of violence, they all suffered from post-traumatic stress disorder. As part of their clinical care, we provided them with constant psychological support and handled it successfully,â€ he said. They were part of the first batch of 49 Yemeni patients who arrived in Delhi. After successful treatment, 29 of them have already returned home in the past few weeks. The case of a patient who received gunshots in the spine was a major one among them. â€œWe removed a bullet from his spine in a surgery,â€ said Dr Sanjay Gupta, medical director at the hospital and neurosurgeon. He said deadly infections of patients were a major challenge before conducting surgeries. â€œThere was a possibility of cross-infection also [infection spreading to other patients or hospital staff]. However, our precautionary measures worked,â€ Dr Gupta said. Most of the patients required multidisciplinary treatment, said Dr Vivek Singh, corporate director at the hospital. Psychiatrists, neurosurgeons, orthopaedic surgeons and ophthalmologists had to work together, he said. 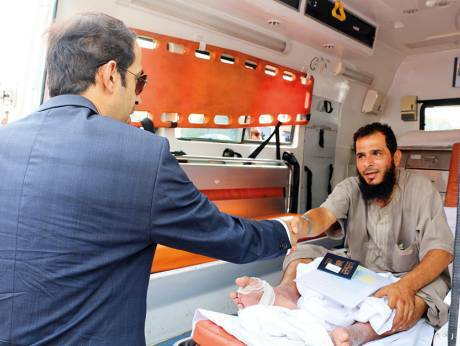 As Gulf News reported on Saturday, the remaining 20 patients from the first batch will go home in the coming weeks. Meanwhile, a second batch of patients reached Delhi on Thursday.